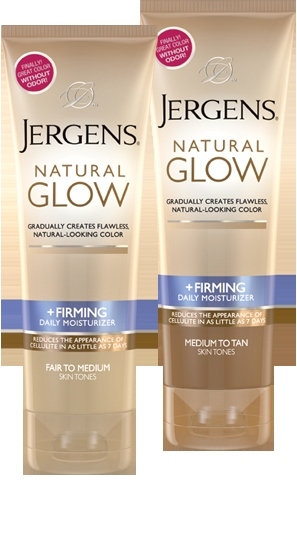 Jergens® Natural Glow +FIRMING Daily Moisturizer ($8.99 / Drugstores - The Frugalistas favorite option - its budget FRIENDLY!! ) gradually creates fabulous natural-looking color with a subtle skin-darkening complex. In as little as 7 days you'll experience visibly firmer skin with less noticeable cellulite and improved elasticity. Today at 12am Midnight Josie Maran introduced this revolutionary breakthrough in self - tanners today on QVC and QVC.com ... BODY WASH!!! The Argan Self-Tanning Body Wash ($35 , a $55 Value - / QVC , QVC.com) delivers tanning plus hydrating benefits while you shower . Another added bonus is the color develops within 30 seconds and the the body wash disappears in the shower with no staining !!! This Bronze Breakthrough is only available for 24hours only, with sales ending at midnight tonight. 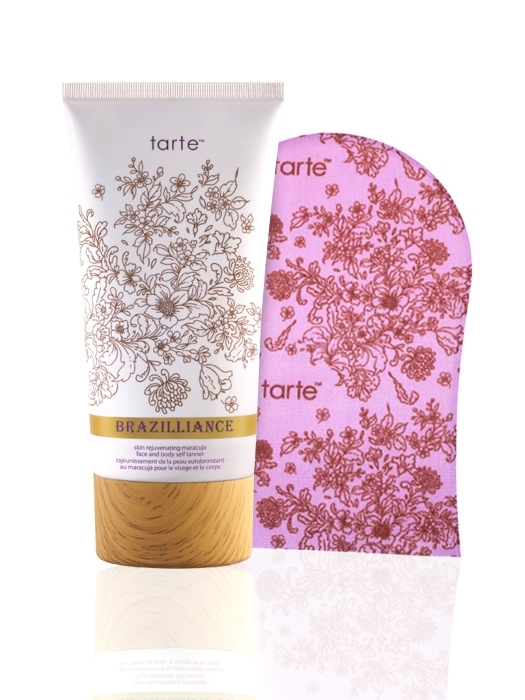 Tarte Cosmetics Brazilliance™ skin rejuvenating maracuja face and body self tanner with mitt ($37 / Tarte.com , Sephora ) is pefect for those who don't want to exfoliate because its key component is the miraculous Maracuja oil which adds moisture to the skin. I love the mitt option , because it becomes tedious to have to worry about stained fingers and nails and have to obsessively wash your hands. This revolutionary hybrid gel formula, infused with pure maracuja oil, delivers replenishing essential fatty acids along with skin-brightening and youth-preserving vitamin C. tarte’s proprietary PUREshield™ scent-control technology allows for a pleasant, spa-like application that smells unlike any self tanner you've tried before. Mally Beauty Believable Bronzer ($40 / QVC, QVC.com) is perfect for women who just want a quick bronze fix! This set includes three powders - a tanning powder for allover color, a shimmer to highlight, and a beautiful sun shade that's designed to make your cheeks radiant like a day at the beach. It's a great contouring set as well , there is many uses for this palette and I ABSOLUTELY LOVE it ! I would suggest even if you are using other forms of Self-Tanners / Bronzers this Bronzer NEEDS to be incorporated in your regime , whichever one you decide on doing. Whether you want to be safe from the UV rays and Self Tan at home, or you simply can't afford a quick getaway to that tropical destination , consider one of my options .. Why not try them ALL?? You will not be disappointed ! !